Home » Blog » I’m in Print! 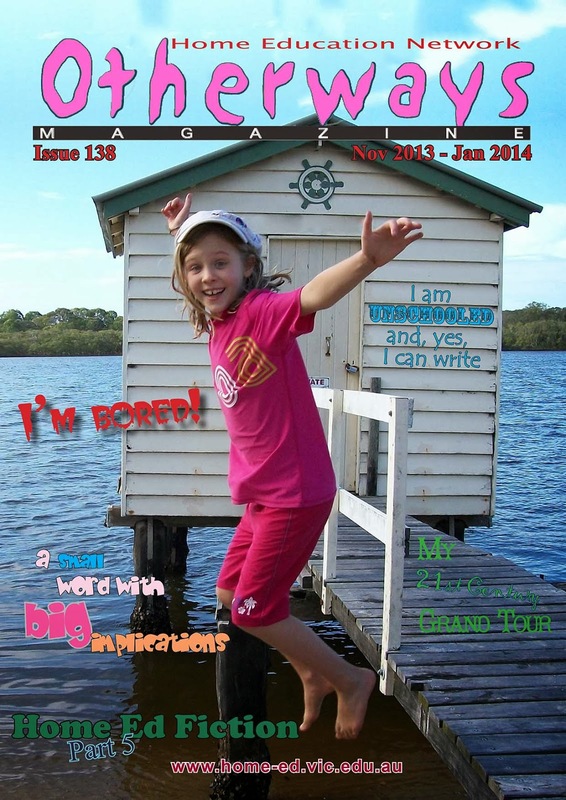 Recently I was asked to participate in a interview for Otherways, an Australian Home Education magazine. A few times I’ve been a guest poster on blogs but this was the first time I’ve been asked for a print article! I was rather nervous, but I gave it my ‘best shot’, and now my interview is in print! Sharing part of the interview with you, for the full interview check out this month’s Otherways. challenges you face as a home educator? mathematical concepts to a highschooler. encouragement for the children to pursue ‘the extras’ independently. some advice to those who are new to home education, what would it be? on the basics, give your children a solid foundation, then they will then have the skills to pursue whatever interests them. negative peer pressure, these all came to fruition! opportunity has been made possible by our lifestyle. 9 Comments on I’m in Print! Love it! What a blessing for others to read. You did a great job! How exciting! I want to read the whole article! Congratulations! I enjoyed the portion I got to read here! Congratulation, Erin! I know it's such a big deal! You have such sage wisdom from your family experience! Aw thank you for your kind words:) If you do want to read the article in entirety, shoot me an email and I'll send. Wonderful! I'm so glad I got to read it! It's a great interview, Erin! I'm glad you uploaded it!